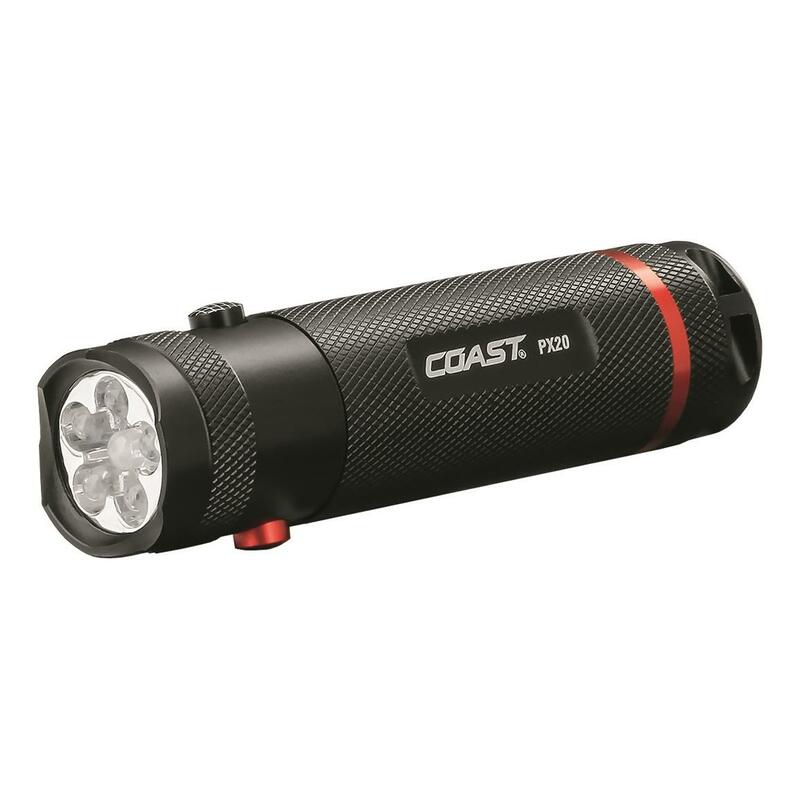 Be prepared for a variety of settings with this versatile Dual-Color COAST® PX20. It combines one super-bright White LED and 1 Red LED into one convenient Flashlight. Use the Red light for reducing night blindness while reading maps in low-light situations. In the White mode, the light uses COAST®'s signature Bulls-Eye Spot Beam for bright, long-distance illumination. Impact- and weather-resistant aluminum housing and virtually unbreakable LEDs. 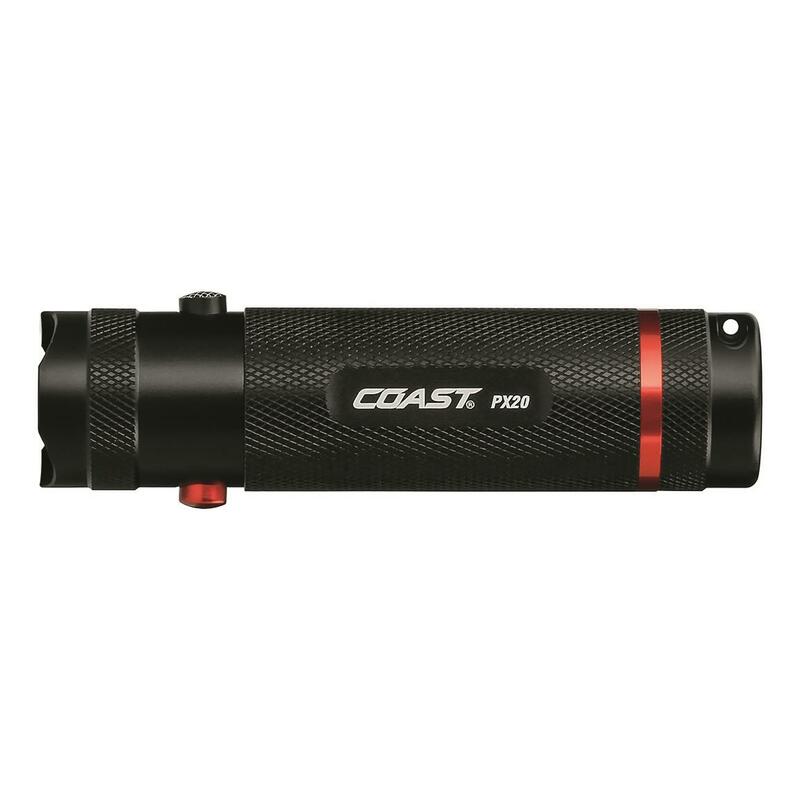 The PX20 Flashlight is backed by Coast’s lifetime warranty against defects in materials and workmanship. Runtime (high): 1 hr. 15 min.